When planning the decor for an upscale event, many people like to use candles. Besides the candles, it is important to have impressive holders as well. 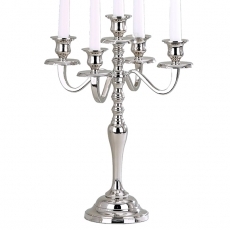 At Party Rentals, we offer ornate candelabras that bring class and elegance to any decor. Each piece will draw the attention of your guests and elicit numerous compliments. 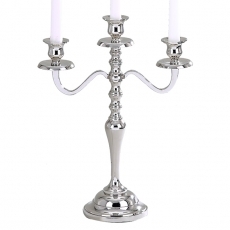 Our silver-tone items will glimmer among the flickering flames. 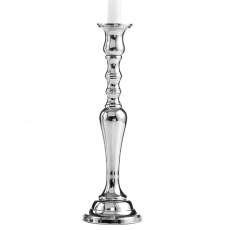 Whether you scatter numerous candlesticks among your venue or use candelabras as centerpieces for your tables, the entire decor will have a romantic mood. To bring elegance to your next celebration, rent one or more of our pieces today.